Despite a chilly start to the day there were plenty of keen bidders present to take a look at the 719 lots we had on offer in our first Coins and Banknotes auction of 2018. We began the auction, as ever, with the banknotes section. 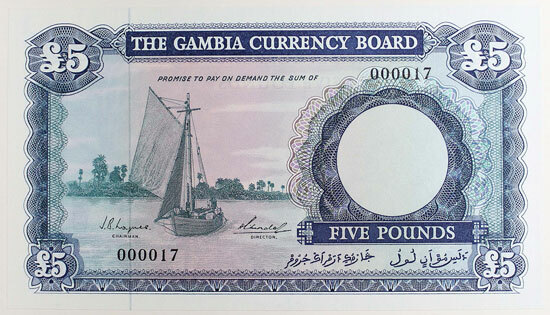 We had a range of Specimen banknotes on offer in this auction, including this Gambia 1964 first issue set which realised £840. 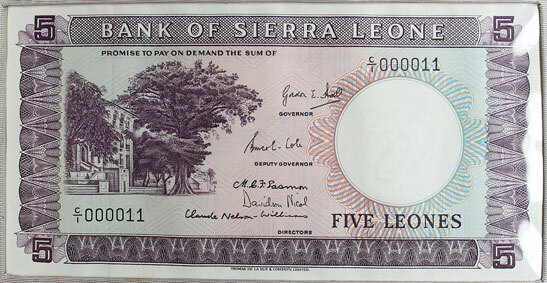 This Sierra Leone 1964 issue set sold for £720. 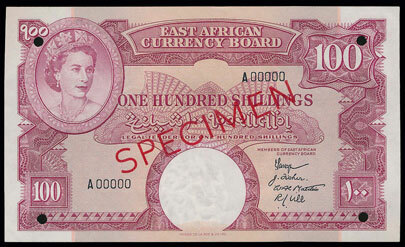 And this East Africa 1964 issue set achieved a whopping £1,680! Moving on to the British coins section there was a good range of hammered coins offered including this William I PAXS penny which sold for £564. This Charles I 1644 Bristol Mint shilling realised £630. And this James I second coinage double crown achieved £900. There were also plenty of milled British coins to choose from. 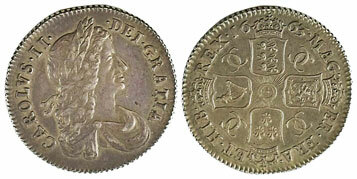 Highlights of which include this 1663 shilling graded as about extremely fine which sold for £750. 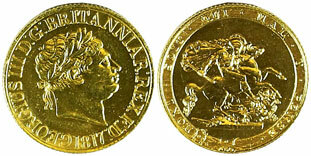 This 1689 guinea with elephant and castle realised £930. And this 1763 Northumberland shilling achieved £630. There were also a range of higher grade shillings offered in this sale including this 1850 example, graded as nearly extremely fine which realised £3,360. 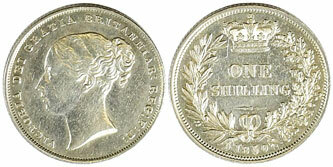 And this 1854 shilling, graded as good extremely fine, sold for £2,280. 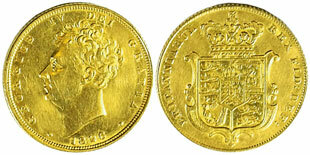 In the gold coins section this 1817 sovereign, graded as good very fine, realised £1,440. 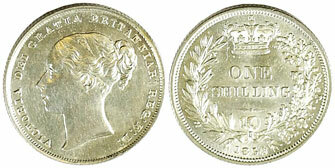 And this 1826 sovereign, graded as extremely fine, sold for £1,110. Moving on to the world coins section highlights included this China Chihli Province milled coinage 23 (1897) dollar, graded as extremely fine which achieved £1,560. And this lovely Scottish 1594 rider which realised £2,400. Our next coin and banknote auction will be held on Wednesday 18th April 2018. Look out for the full catalogue for this sale, which will appear on our website in the next few weeks. Also keep an eye on our Twitter and Facebook pages which will include updates of our latest auction news.